The moon has great powers on Pournami or full moon day. It’s a sign of positive energy and even poets have not spared the celestial wonder for working on the sentiments and attitude of the people besides themselves. The energy of the moon is so powering on the day of Chitra Pournami that it lifts the spirits of the people and brings about a positive atmosphere. The day is also dedicated to Chitra Gupta, the keeper of our Karma records. So people worship the subordinate of Lord Yama (the god of death) to satiate him so that he doesn’t take harsh decisions against them. Goddess Durga and her forms have activated powers on full moon days or Pournami and that’s why it becomes necessary to worship her during Kali yuga to suppress all evil effects, planetary doshas, health problems, sudden deaths etc. Vedicfolks special ritual on the day is dedicated to Sakthi Peetham Chamundeswari Temple where the ruling deity is Goddess Chamundi, a correlation of Durga, Lakshmi and Saraswathi. The Chamundeswari Temple in Mysore is another power seat of the fierce form of Shakti. It is one of the 18 Maha Shakti Peethas and known as Krouncha Peetham where the goddess’ both ears fell. Since the deity slayed demons Chanda and Munda, she earned the name Chamundeswari. Goddess Chamundi is the goddess of Devi Mahatmyam and one of the sapta matrikas who is worshipped in her own right unlike the others that are worshipped together. She is also referred to as jaya durga, the one who ensures victory in all your tasks and stands by your side during tribulations. She’s closely associated with Kali, another powerful form of Parvati. People throng her temple as they believe that she fulfills their desires and aspirations. This powerful homa addresses problems of overcoming fear of negative forces and helps to manage difficult situations in life. Experience peace of mind if planets are malefic as the goddess removes all such issues when invoked. The homa also eliminates doshas and karmic issues to live a better life. Obtain success in all tough tasks and live a life that’s healthy, wealthy and prosperous. The ritual eradicates serious curses, potential threats and removes barriers or obstacles by fulfilling desires of the devotees. The mantras of Chamundeswari Devi enhance the strength of body and mind. She helps boost intellectual abilities and also the talents and skills to shine in career and business. The ritual demolishes all harmful plots of enemies as they become powerless while acting against you. Kalabhairava Puja: The Bhairava associated with Chamundeswari Devi is Kalabhairava. This fierce form of lord Shiva helps to conquer time, grants materialistic comforts and also grants blessings of good future prospects. One can avoid unnecessary hassles, improve performance in every aspect of life. It guarantees success and prosperity. It protects against diseases and various other ailments. The Chamundeswari Homa brightens career and business and helps you to achieve success. It removes barriers and obstacles by fulfilling desires of devotees. Destroy all types of enemies to the core like serious curses, major threats etc. Reduce complications in life and earn good health, wealth and prosperity. Eliminate all doshas like that of planets and also karmic issues by invoking Goddess Chamundeswari. Chanda Bhairava is one of the Ashta Bhiravas and a very fierce one. His Bhairavi is Gowmari, his mount is peacock and rules the South direction. People with Mangal dosha or Mars affliction can worship him for relief from problems. A puja to Chanda Bhairava grants success in arbitration destroys negative competitors, jealousy and prevent you from falling prey to illicit activities. You can also improve your energy level and perform well in your duties. People suffering from lethargy and tiredness can benefit greatly by chanting this mantra. 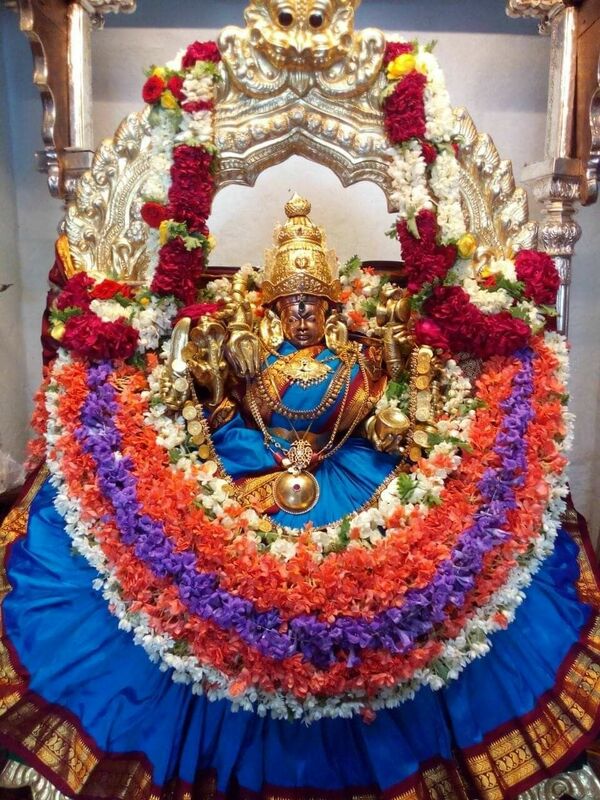 The presiding deity of the Chamundeswari temple, the goddess Chamundi Devi is a powerful form of Goddess Adi Shakti. It is one of the most revered 18 Shakti Peeths and has a rich heritage. A puja to the goddess at this power seat grants all boons, knowledge, wisdom, good health and peaceful life. She protects from dangers, removes obstacles and sees that all problems vanish from your life. Also, people afflicted by negative energies in the form of spells, curses, evil-spirits, black magic, witchcraft etc. can benefit from this very effective puja. The Chandi Yantra is one of the most powerful yantras that’s unmatched for removing hurdles from your life. If you own the chandi yantra no negative power can stump you out. The yantra also promises wealth and happiness. It helps to concentrate power and energy. The yantra has maximum effect when it is energised and even decreases quarrels within the family and outside. This yantra should be revered sincerely owing to its powerful effects. A Trident symbolises courage and it is one of the main weapons Goddess Durga possesses. The goddess destroys evil and protects mankind from all forms of suffering. The trident checks all our deficiencies and restricts evil. Just like her superfluous qualities, the trident or trishul is a symbol of three qualities satva, rajas and tamas. She uses these qualities to allay mental, physical and spiritual afflictions. This necklace consists of nine different gemstones as the name suggests. These stones represent the nine planets in vedic astrology. Wearing this piece of jewellery everyday can bring auspicious to you both personally and professionally. It checks all the doshas created by the planets of your birth chart. As it is energised during the ritual, it protects you against misfortunes, keeps off any type of hazards and obstacles. It rejuvenates you and surrounds you with positive energy.